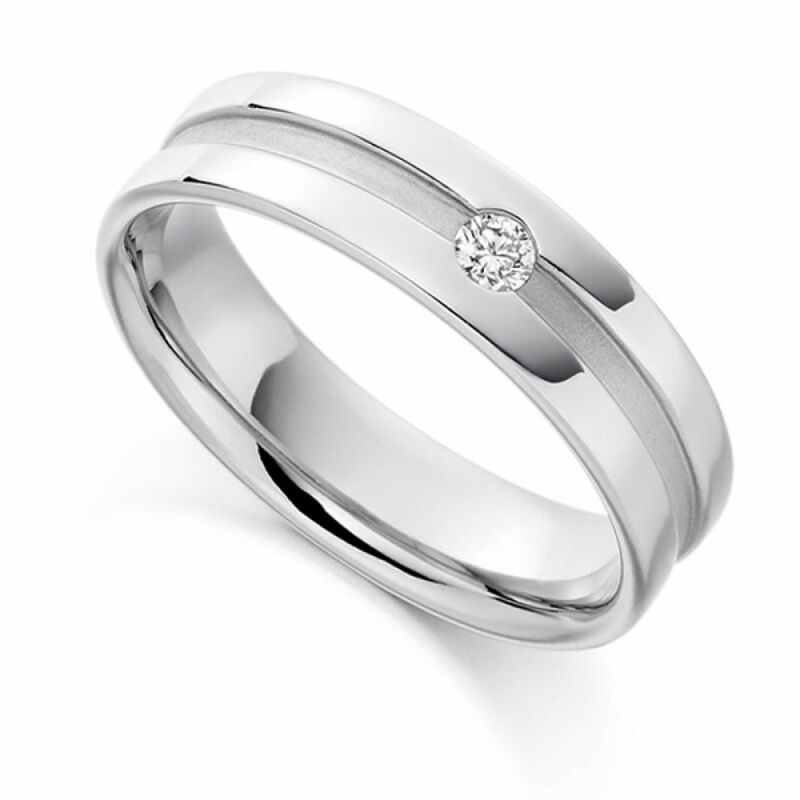 Flush set 5.75mm men's diamond wedding ring with 2.6mm 0.07cts round diamond within a satin finished channel detail. An impeccable Men's flush set Diamond Wedding Ring featuring a central matt finished channel. Precision set with a 2.6mm, 0.07 carat Round Brilliant cut Diamond, graded VS1 Clarity and F Colour prior to being set. The outer polished Wedding Band is 5.75mm in width and is a comfortable flat court profile. Available in 18 Carat Yellow, White or Rose Gold, 950 Platinum and 950 Palladium finishes, to meet your personal preference. The ring will arrive to you beautifully packaged, ready for your special day. This design is expertly crafted to order so please allow 4 weeks for delivery.